BARNSTABLE — Barnstable has received a state grant of nearly $10,000 to help cut down on underage drinking. The grant, awarded by the Massachusetts Executive Office of Public Safety, specifically targets summer visitors who are underage, but may nevertheless attempt to purchase alcohol at bars or liquor stores while vacationing in Barnstable. Of course this grant “specifically targets summer visitors who are underage”. That’s because there is no way you could possibly stop kids that actually grow up on Cape Cod from drinking when they are underage. Underage drinking on Cape Cod is an institution, it’s like football in Texas or hockey in Canada. It’s a way of life for kids here. It’s not necessarily a bad thing either. 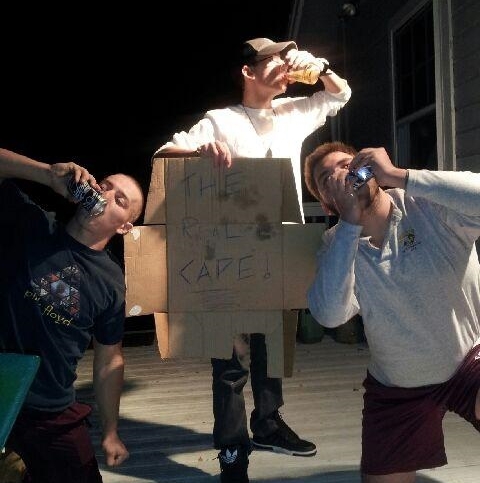 Cape Cod kids get to college and they can already handle their booze. Freshmen kids from other Mass. towns are blacking out and getting dicks drawn on their forehead every night because they’ve drank twice in their life. Meanwhile, Freshmen from The Cape are finishing those assholes 30 packs, banging their girlfriends, getting breakfast and then going to class. No big deal, been doing it for years already. So I guess Cape Cod is so famous that when they try to stop underage drinking, they only target people who didn’t grow up here. They don’t even try to stop us anymore.